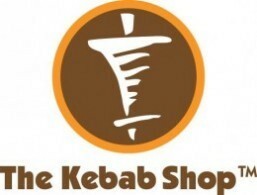 The Kebab Shop is currently closed for delivery and it will open at 10:00 AM today . Chicken or Lamb patty filled with molten cheddar cheese and topped with pickles, tomato, lettuce, mayo, sauteed onions and mushrooms. 2 Seekh Kebab 3 Mutton Tikka 3 Chicken Tikka Quarter Grilled Chicken Served with fries or Biryani Rice and 2 Naan Bread. 2 Seekh Kebab 3 Mutton Tikka 3 Sheesh Tawook Quarter Grilled Chicken Served with fries or Biryani Rice and 2 Naan Bread.